From a Home screen, navigate: Apps icon > Kid Mode. Enter password, tap OK then tap Sign In. 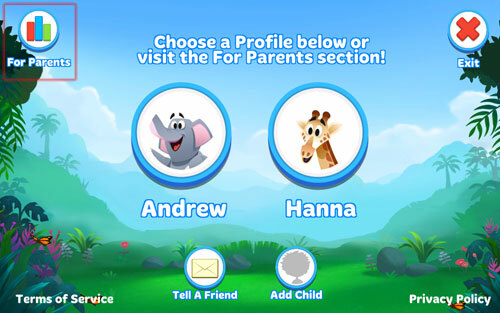 From the Kid Mode home screen, tap For Parents. 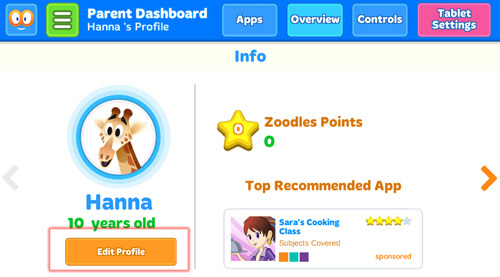 Tap the Menu icon (located in the upper-left), tap Profiles then tap the applicable user. Edit the info in the applicable fields then tap Save.